Custom louvres built for your needs. 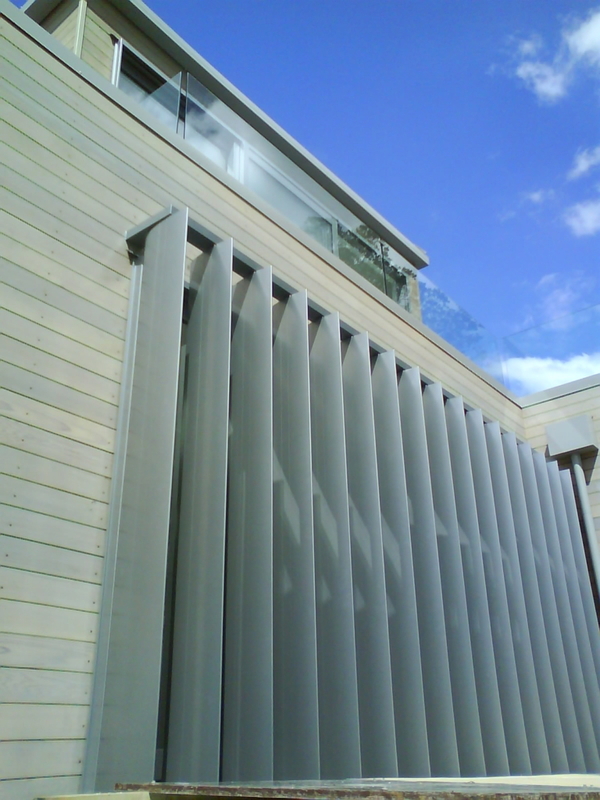 Our sunshield louvre systems can be aligned to place your louvres either horizontally or vertically. Other customizations include an endless range of colors, and the ability to choose between a fixed position, adjustable and operable systems. 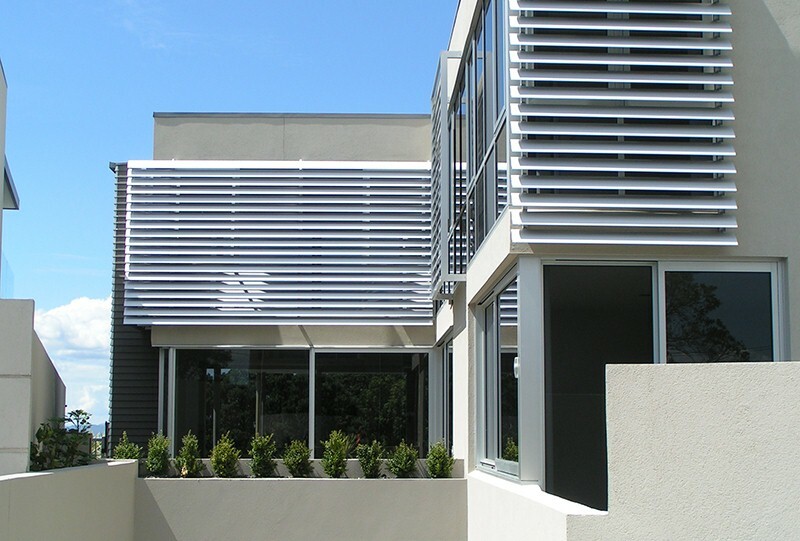 Depending on your requirements, your sunshield louvres from Louvre Systems can be manual or motorized. At Louvre Systems we offer control of your environment with style. Bring a new level of comfort to your everyday environment with this method of shading large panes of glass. While there are many alternatives to sunshield louvres such as awnings, sails, and air conditioning, nothing will beat our stylish sunshield louvres. 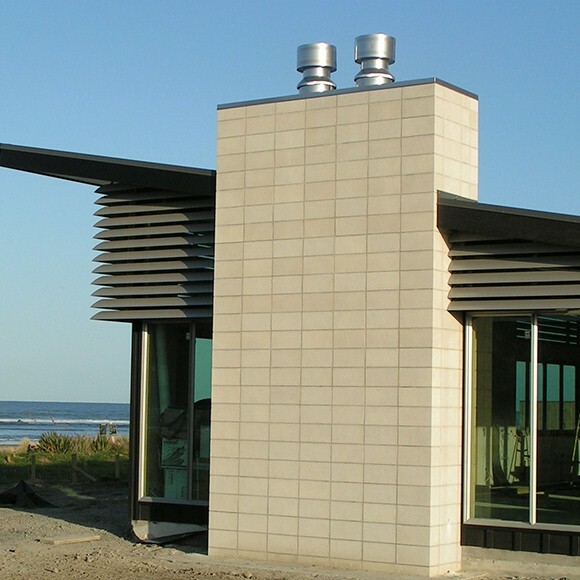 Sunshield louvres from Louvre Systems are specifically designed to provide the ideal solution for temperature control, whether you want to lessen the summer heat or maximise light in winter. 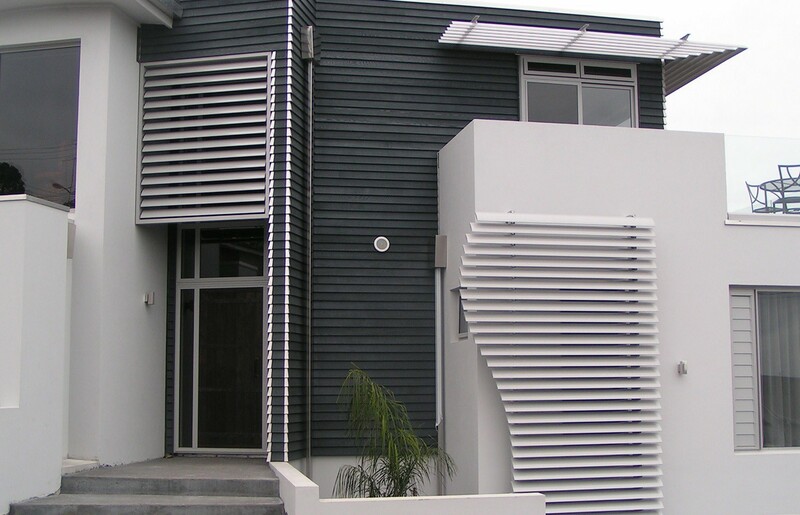 Our sunshield louvres are primarily external features, but can also be used indoors to create the design features you desire. Unlike other louvre manufacturers Louvre Systems customizes each design to your individual requirements. Don’t be restricted by set products, with Louvre Systems we design your requirements from Concept to Creation. 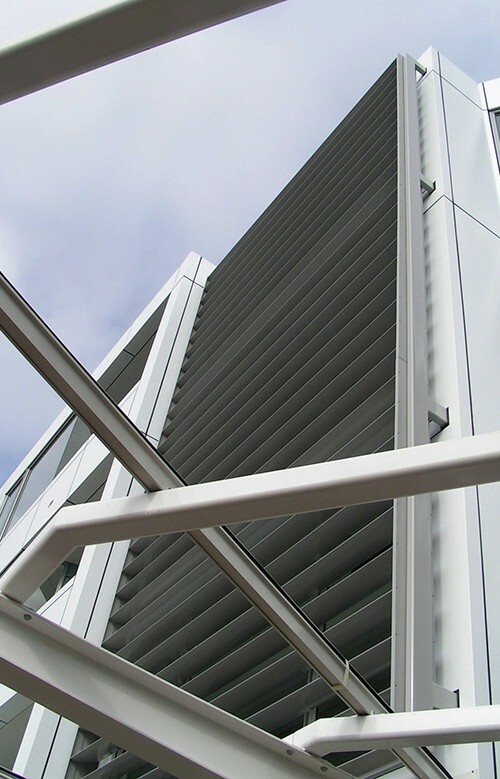 Our Sunshield Louvres are an elegant feature to external facades with the added benefit of temperature and light management for the spaces where its used. Save money used in conditioning your environment, our Sunshield Louvres can be connected with sensors and automation equipment to adjust your enviroment to your preferred temperature. First of all, we LOVE our louvres. We are SO pleased we decided to go ahead with them. It’s amazing the difference it has made to our living. Second, just had to say the guys who installed the system were fantastic. K was really good at keeping in touch with when he would be arriving, and always arrived at the time expected. In the end they fitted the blades before expected, which was lovely. So thank you. I’ve already sent photos of our louvres and given your details to friends of friends who are considering them. The louvres look AMAZING!!!!!!!!!!!! Thank you soooo much, I am really pleased. Colour perfect too. The money should go in tonight. Thanks again!!! You’ve been great to work with!!!! Will recommend you to my brother when he builds next year. Have to tell you we are really pleased with the outcome & have already christened the outdoor “room” several times. Thanks & regards & happy to act as a reference if you need one. Regards to all. Thanks for a wonderful job. All of your trade people were wonderful, they did a fantastic job, we are thrilled. Louvre Systems is a family owned business, operated by Rob and Debbie Woolrich. While Louvre Systems is growing rapidly, both Rob and Debbie are committed family people. Bringing their family values into the business ensuring that all Louvre Systems customers receive the best service every time.